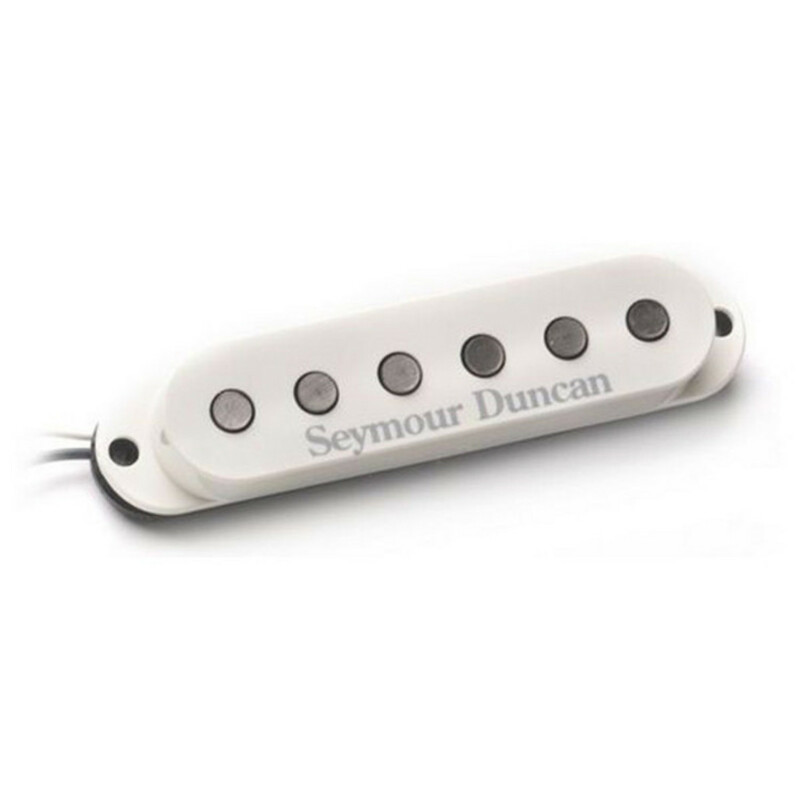 This single-coil Tapped pickup from legendary manufacturer, Seymour Duncan, boasts great vintage tone and higher output than the SSL-1. This Seymour Duncan SSL-5 Custom Staggered Strat Tapped pickup is a high output true single-coil for warm instruments. It's perfect for genres as Texas blues rock, classic rock and heavy rock. This pickup comes in white. Players of pickups in the Custom Staggered SSL-5 family include Nick Lashley (Alanis Morissette & Mick Jagger) Rickey Medlocke & Mike Estes (Lynyrd Skynyrd) and Yogi (Wallflowers). While it has the appearance of an the SSL-1 and possesses that distinct vintage tone, the SSL-5 boasts an over-wound coil which brings higher output, more sustain and fantastic harmonics. You can rock out and cut through the mix, or back off the volume and clean up the sound nicely. You can also get the SSL-5 Calibrated Pickup Set on Gear4music. This pickup is designed for heavier and brighter-toned instruments with ash or alder bodies and works well with maple or rosewood fingerboards.